Southern Loggin’ Times’ June issue spotlights Tennessee’s Durbin twins, Donnie and Ronnie, who work two separate logging crews and share an uncanny connection. 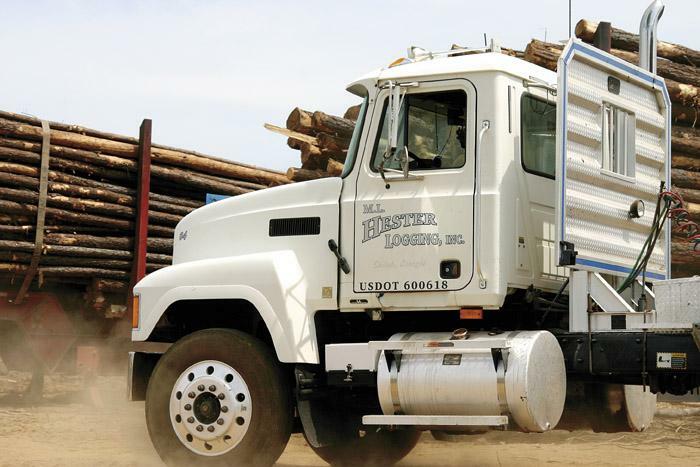 Also featured are NC’s Crawley Logging, where dealer Steve Crawley credits the company’s success to his employees, and Ga.’s Hester Logging, where situations keep logger Gary Hester close to home with plenty of work. The issue provides a review of the Richmond show, marking three decades of the East Coast Show. 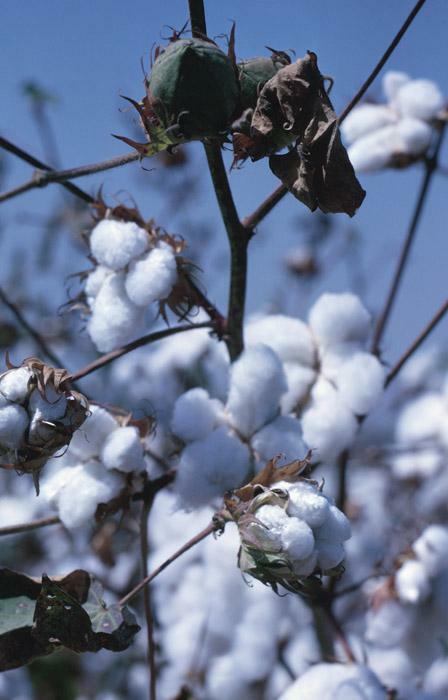 Continue reading Red Hills and Cotton, an Upcountry Memory. 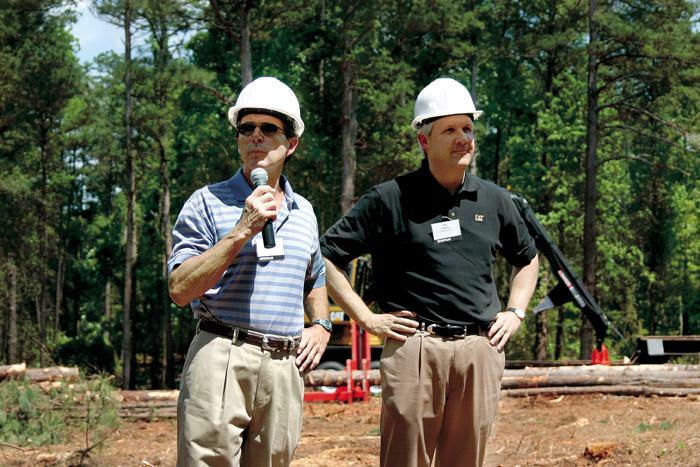 Crawley Timber Co. was the 2005 North Carolina Forestry Assn. 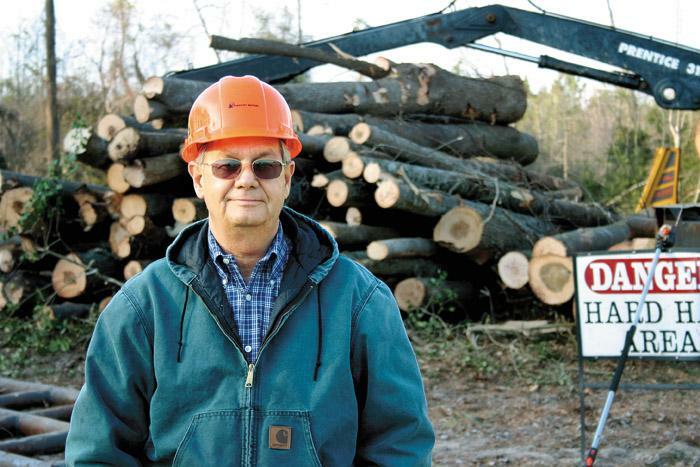 Logger of the Year, presented by Forestry Mutual Insurance Co. It’s not an unimpressive feat, considering that Steve Crawley had only been in the logging side of the business for five years. Gary Hester is perfectly happy cutting company land. While most of his daily work involves thinning plantation acreage, this brilliant early spring day finds him clear-cutting a 120 acre tract. 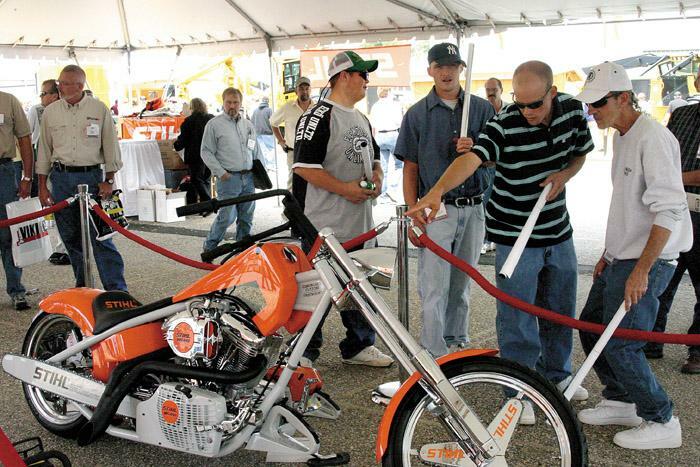 Attendees check out the new Stihl 441 Street Boss chopper. The Civil War gave the slaves their freedom, but the Southern white folks lost the war, so for thirty years after the surrender we all had to work like slaves in our country—the white and the black. All that we had left after Appomattox, besides ourselves, was the land with its sunshine. One of the popular attractions at the 30th East Coast Sawmill and Logging Expositon Show was the “Chics With Axes” show featuring “Timber” Tina Scheer. Sponsored by Stihl, the show featured two lumberjills demonstrating their skills in underhand chop, cross cut saw, log rolling and several other lumberjack type sports. This red oak overlooks the No. 6 tee boxes at Emerald Mountain Golf Club in Wetumpka, Ala. 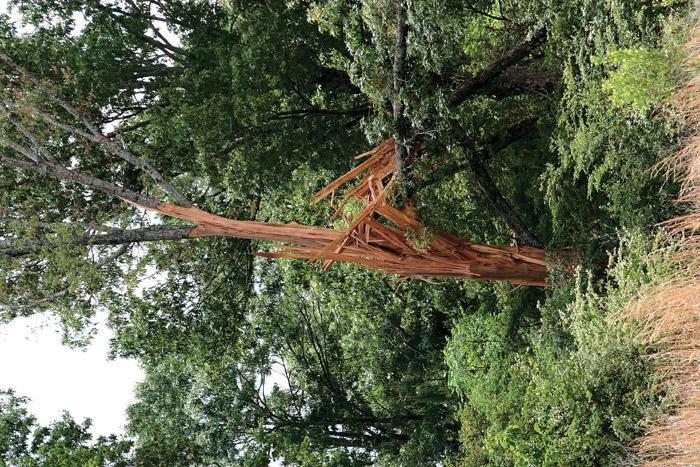 In early April, it was shattered by lightning produced by a supercell thunderstorm. Besides knocking items off walls in the residential community across the road, the jolt practically fried a considerable portion of the control stations and wiring for the golf course’s irrigation system. In early May, brass from Caterpillar and Blount’s Forest and Industrial Equipment Div. invited numerous forest machinery dealers from North America to see new harvesting equipment releases in action at the Caterpillar Forestry Strategy and Sales Training Event, held at Cat’s Forest Products Training Center working demo tract east of Auburn. 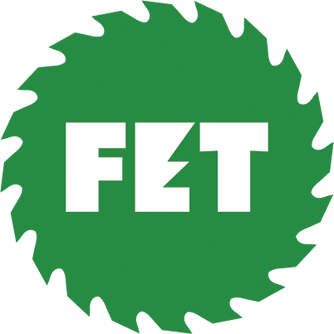 As U.S. and Canada lumber interests were reaching a tentative agreement on the Canadian softwood lumber imports issue, a U.S. home building group was issuing raw material threats. 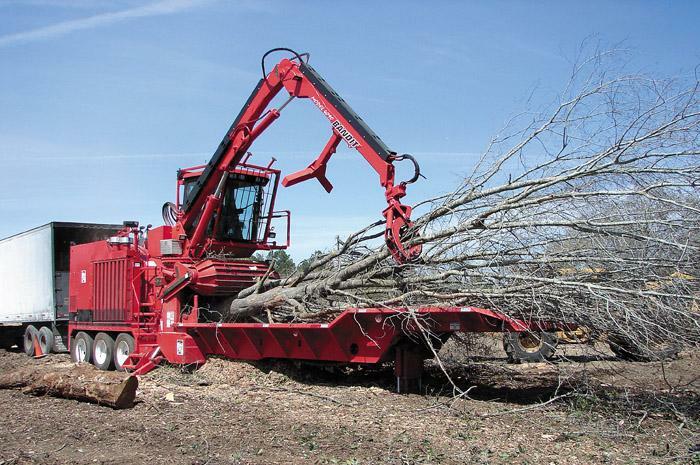 Bandit Industries introduces its largest capacity whole tree chipper, the Model 4090 Tree Bandit Whole Tree Chipper. The 36" diameter capacity Model 4090 features a large 48"x41" chipper opening and a massive 48"x48" chipping drum equipped with a knife clamping system with babbited knives and counter knives.